Anywho~ most recent finished art piece. I don't like it too much because i rushed the coloring to get it done. Regardless of how much i rushed it, i didn't make it in time for their contest deadline... once again. T_T Bah! That's okay! 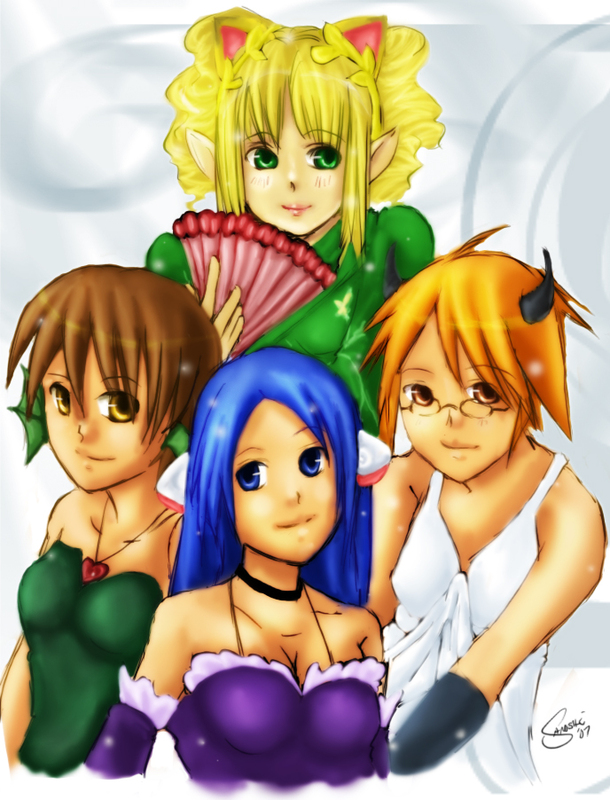 Characters belong to Imbri, Kaze Taco, Murushii and Selona of Gaia Online. Date Submitted July 24, 2007, 1:14:54 PM Time Taken Several Hours?